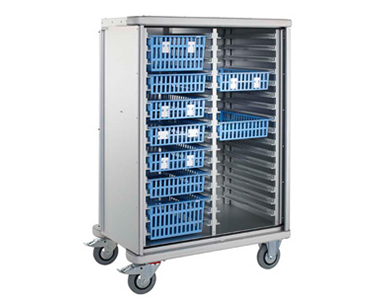 Practical, hygienic cupboard trolley for meals. 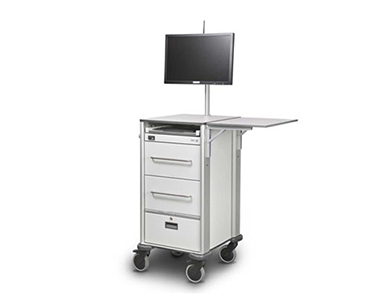 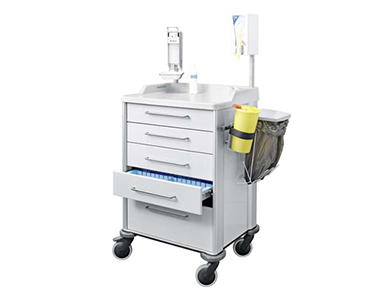 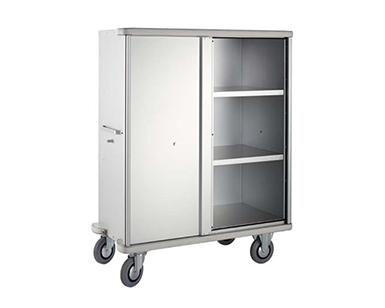 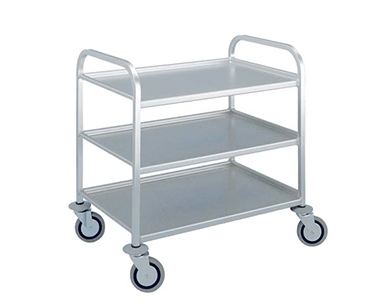 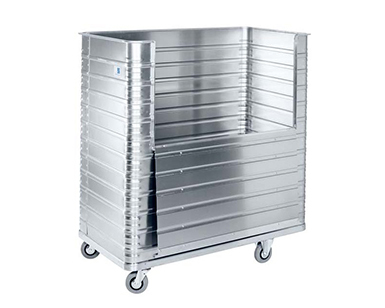 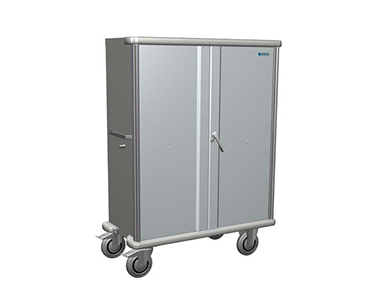 Anodised aluminium cupboard trolley for hygienic transport of food. 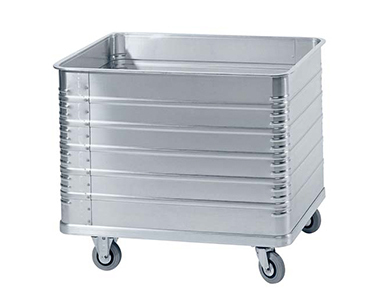 Base joint sealed with silicone.